Dr. Youkeles enjoys all aspects of internal medicine and pulmonary medicine. Her areas of research included asthma, COPD (chronic obstructive pulmonary disease) and interstitial lung disorders. She is experienced in many areas of lung disease, especially asthma, COPD and lung cancer. Prior to joining WESTMED, Dr. Youkeles practiced internal, pulmonary and critical care medicine at Maple Medical of White Plains. Previously, she was an attending physician, The Lung Center, North Shore University Hospital. 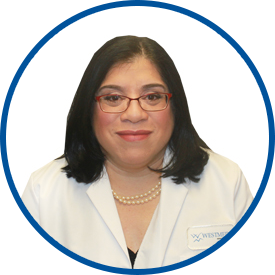 She is affiliated with White Plains Hospital and Greenwich Hospital. She is a member of the American College of Physicians, the American College of Chest Physicians and the American Thoracic Society. *Dr. Lisa Youkeles my first time meeting her I was overjoy she is so polite and well mannered I love her. 10. Definitely. She is a very good, thorough, compassionate doctor who spends time with me, helping me to get tests/ goes over the results to help me be at my best health, follows up in a timely, professional manner, great listener, supportive & even hugs me when I need it. I love her! Sometimes you have to wait to long for her, but she is worth the wait! Dr. Yukeles is the best. She is caring and always shows concern for my health. She takes time to talk to me about any questions and concerns that I have. She is the best,love her. Wonderful caring doctor. *Dr. Youkeles is a wonderful doctor. She shows care & concern. She is familiar with my family's medical history, and she is thorough. Dr. Youkeles is very thorough and I would absolutely recommend her to family and friends. In fact, she is my mom's doctor as well and my mom is who recommended Dr. Youkeles to me. We can't thank Dr. Youkeles enough for having found the big cist in my mom's liver a few years ago after a number of other doctor's had checked my mom in CA and never found anything. *Dr. Youkeles is always friendly & personable she takes time with me and remembers details, that is why I don't mind waiting a little. Excellent , can't ask for better ! I am pleased with my choice of physician. Many years - consider a friend! Dr. Youkeles is a doctor in the old tradition, she knows her patient, spends as much time as needed. listens with concern and answers questions clearly.I would , and have, recommend her to family and friends. Dr Youkeles is an excellent doctor with a genuinely caring demeanor and a thorough and comprehensive approach to my medical issues. I have tremendous confidence in her expertise.